In this day of electronics where keeping track of time is a matter of looking at your phone, microwave, computer, television, or radio, the notion of a “tool watch” has slipped by the wayside. Long have the days past whereby Noon – Greenwich Mean Time was signified by a ball dropping from a Greenwich observatory tower so that ships could synchronize their clocks. Just as how electricity accelerated the industrial age, electricity has certainly accelerated timekeeping to the point where clocks are as prevalent as any electronic screen. Despite the ubiquity of electronic timekeeping in this day and age, there was a period during WWII and later in the 1950’s that the concept of a “tool watch” was born, and Rolex certainly defined the concept. The utility of wearing a watch started in the Boer War and later in WWI whereby soldiers would strap pocket watches to their battle vest or on their wrist. After WWI, the utility of wearing a watch on your wrist gained traction during the 1920’s when wearing a timepiece was not seen as a fashion statement. During the 1920’s wrist watches were still seen as fashion accessory with the utility of telling time mostly because watches of that period were not water proof, shock resistant and could not withstand day-to-day grunt work. By WWII, the utility of accurate timekeeping, especially during wartime, was the genesis of the tool watch now that watches were increased shock and water protection. Early Panerai’s designed for wartime diving, outfitted with Rolex movements, are a good example of wartime necessity combined with advanced watch technology of the time. It was not until after WWII and during the 1950’s that the concept of a tool watch truly evolved. The 1950’s was the period of transcontinental flight, SCUBA diving, and exploration such as summiting Mount Everest that under lied the necessity of having a timepiece that can withstand the rigors of outside activity. The 1950’s was also a period that predated the ubiquity of today’s timekeeping whereby the only way to find the correct time was on a mechanical watch or clock. As the moniker connotes, a tool watch must be as durable as an adjustable crescent wrench or screwdriver, and have multiple uses other than just telling time. Like with any wrench or tool found in a tool box, a tool watch must have application specific functions to fall in the tool watch category. Specifically, certain job functions are what separate a tool watch from a dress watch. Rolex innovations and patents such as being water tight, self-winding, and readable at night underlie the concept of a tool watch. 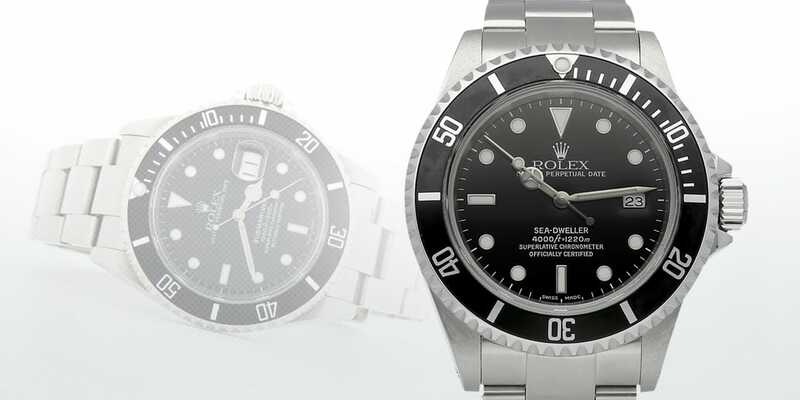 In the next blog post, we’ll examine Rolex’s innovations that define the tool watch category.